“Sarah my love for you is deathless, it seems to bind me with mighty cables … and yet my love of Country comes over me like a strong wind….” – Major Sullivan Ballou, July 14, 1861. 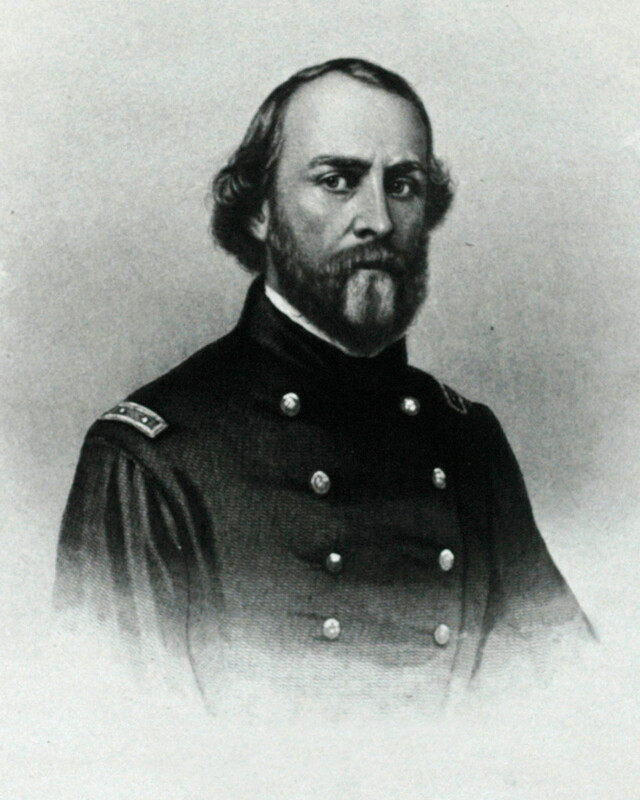 Born in Smithfield, Rhode Island and graduated from Phillips Academy, Major Sullivan Ballou (1829 – 1861) is best known for the touching letter he wrote to his wife on the eve of the First Battle of Bull Run in 1861 and which PBS’ “The Civil War” featured prominently. Despite losing both his parents early in life, he managed to attend and graduate from Phillips Academy and Brown University. After a short career as a lawyer, Ballou was elected to the Rhode Island House of Representatives eventually becoming its Speaker shortly before the civil war. At the outbreak of war in April 1861, Ballou received a commission as a Major in the 2nd Rhode Island Infantry. Ballou’s military service was shortlived however, and he died as a result of wounds suffered at the First Battle of Bull Run on July 26, 1861. Ballou’s famous letter was never sent to his wife Sarah, but instead was later found among his personal effects. In 1862, Ballou’s remains also became a national story when a Rhode Island delegation learned that a Georgia regiment had used them as trophies of war. While his service may have been short and his physical remains terribly mistreated, Ballou’s poignant letter to his wife stands not only as a tribute to the patriotic spirit of the times, but as a lasting testament to the extreme sacrifices made by soldiers and their families.